Alarm or alert detection remains an issue in various areas from nature, i.e. flooding, animals or earthquake, to software systems. Liveness, dynamicity, reactivity of alarm systems: how to ensure the warning information reach the right destination at the right moment and in the right location, still being relevant for the recipient, in spite of the various and successive filters of confidentiality, privacy, firewall policies, etc.? Also relevant in this context are to technical contingency issues: material failure, defect of connection, break of channels, independence of information routes and sources? Alarms with crowd media, (mis)information vs. rumours: how to make the distinction? The prediction of natural disasters (floods, avalanches, etc. ), health surveillance (affectionate fevers of cattle, pollution by pesticides, etc. ), air, sea and land transport, or space surveillance to prevent Risks of collisions between orbital objects involve more and more actors within Information Systems, one of whose purposes is the dissemination of alerts. By expanding the capabilities and functionality of such national or international systems, social networks are playing a growing role in dissemination and sharing, eg. with the support of systems like the Google Alert (https://www.google.fr/alerts) which concerns the publication of contents online. Recently, the Twitter microblogging platform announced a broadcast service, designed to help government organizations with alerts to the public. The proper functioning of such systems depends on fundamental properties such as resilience, liveliness and responsiveness: any alert must absolutely reach the right recipient at the right time and in the right place, while remaining relevant to him, despite the various constraints. on the one hand to external events, such as hardware failures, connection faults, breaks in communication channels, on the other hand to confidentiality, such as the collection and use of personal data (with or without the consent of the user), or the disparity of access policies (generation according to industrial, technological, security constraints, management of internal / external policies, etc.) between actors. 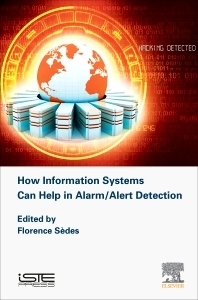 This book opens the discussion on the "procrastination", the dynamics and the reactivity of the alert systems, but also the problems of confidentiality, filtering of information, and the means of distinguishing information and rumor. 3. Smartphone Applications: A Means to Promote Emergency Management in France? 9. How Can Computer Tools Improve Early Warnings for Wildlife Diseases?